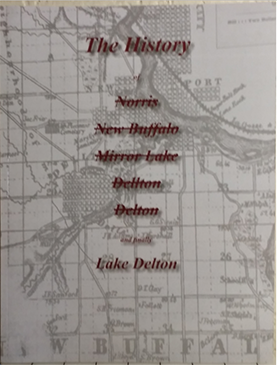 The History of Norris, New Buffalo, Mirror Lake, Dellton, Delton, and finally, Lake Delton tells the story of village of Lake Delton, Wisconsin Dells' twin city. Written by a local history expert the book details its start in the 1840s and its creators including those who built a lake. The book features notable pioneers such aRoujet de Lisle Marshall, Abraham Vanderpoel and William Newman. The book also features history of prominent businesses such as the Tommy Bartlett Water Ski Show and the Del-Bar. The history also includes a chapter with photos of the flood of 2008 that drained Lake Delton. 129 pages of stories and photos. 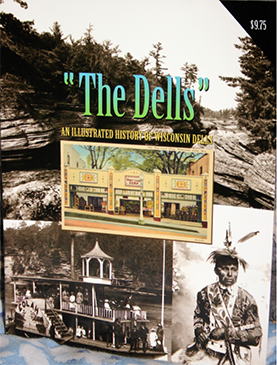 The Dells, An Illustrated History of Wisconsin Dells has been published by the local experts who best know the story of the Dells in combination with Wisconsin's largest award-winning local history publishing company. This is the story in photographs of how it happened - how a little village set amidst stunning natural scenery became one of the country's most popular vacation spots. 72 pages of stories and photos. 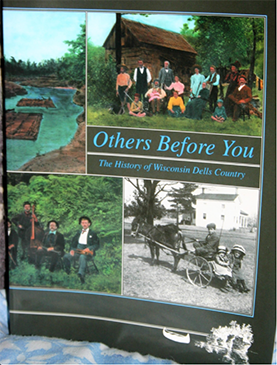 Others Before You: The History of Wisconsin Dells Country contains not only the history of the city of Wisconsin Dells and the tourism business, but the history of the surrounding area. Written by members of the Dells Country Historical Society, it features stories of leading businesses such as the boat tours, the banks, medical practices, drug stores; stories of schools; histories of churches in the area; and stories of area pioneers such as Jonathan Bowman, Leroy Gates, Joseph Bailey and H.H. Bennett. Sections feature the Wisconsin River, the Civil War, World Wars I and II, the Great Depression and the modern era. The book features many photographs and 335 pages recounting the area's history. Add $6 for shipping and handling for each book ordered.